I am connecting with THE BODY, my ascending body and the collective ‘body’ of those of us who have chosen ascension as our path and process. I am connecting with this universal experience of body, this human body vessel and temple, this fleshy form, that we’ve all agreed is the vehicle of our walking around life. Yet, this body is changing. It is growing. It is calibrating higher, vibrating higher. It is shifting from carbon to crystalline. It is transforming from being anchored in 3D to transitional and awakening 4D (integration of the astral body) and into 5D. This is a HUGE process, a big deal as a marker in the evolutionary cycles of our species. Our souls can fly with our astral self (as I am now calling our dream self, or self beyond the body in one aspect or layer of fourth dimensional consciousness), yet our bodies have not been able to come along. Our souls can soar into 5D consciousness, especially during Near Death Experiences (NDEs) and taking of peyote, ayahuasca, etc. Yet, again, the body is ‘left behind’ because its frequency has been too dense, too connected to Mother Gaia in a primordial way to ‘come along’ with the soul’s vibration. Yet now……NOW the body is ascending TOO. It is coming along, doesn’t want to get left behind. This is what THE BODY is telling me in the moment, “Don’t leave me behind! I want to come with you!” Dimensional shifts are about shifts in consciousness yet, also, there IS a shift in what you experience as your outer reality as well…..as what is inside is what you experience then outside. Experiencing 4D conscious states and higher INSIDE of the body is a new experience and seems to mostly be bridged through meditation and going on multidimensional journeys for which the body comes along and ‘holds’ the awakening experiences. In our 3D relationships with our bodies, we BECOME our bodies. Our 3D selves ‘fuse’ to our bodies and so every symptom, every experience, every emotion, every thought, seems to become trapped INSIDE of them. All of this trapping and fixation on the physical level creates dis-ease, illness, injury, unhealthy, toxicity, being overweight, sexuality issues, addictions. All this trapping of consciousness inside of the body doesn’t allow any breathing, any release, any energetic movement to happen, any cleansing, any POSSIBILITIES beyond the body. Yes, this ascending body WANTS a lot. If we can feel this wanting and desire of the body to ascend WITH us, then we can respond to bodies from this higher frequency with self love and self care. This means that our ascending bodies will cycle through sleep differently than we are ‘used to’ and sleep ‘patterns’ will be interrupted. Sometimes our bodies will be needing A LOT of it for the calibration and crystallizing process. Sometimes they will be needing VERY LITTLE for so much new energy is moving through, becoming light, feeling like a caffeine buzz moving through our veins and through our bones. Sometimes our bodies will need ‘crash naps’ to reboot the consciousness, turn the conscious mind off, and implement a new frequency. The more flexibility we have in our days and in our nights to allow these fluxes and changes; the more we can flow and move with them letting our mind relax and surrender into them. The ascending body is shifting around food needs too. The 3D body sought out comfort because so much was trapped INSIDE of it that it was looking for any kind of relief. Comfort often meant foods that weren’t good for it, that weren’t healthy, that actually made digestion harder and the body feeling not as vital. The 3D body, run by our 3D selves, then made ‘choices’ that caused dis-ease and illness and that were out of alignment with our soul frequencies. 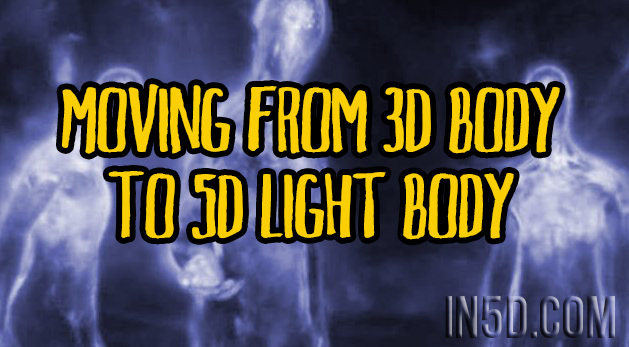 Because the 3D body was cut off from the soul (not completely but enough), it was ‘alone’ in a 3D conditioned world that pushes toxic food, that keeps our body vibrational energetic frequency low. The 4D body is awakening as the 4D self is transitioning and learning, educating itself about what is healthy and what is not, about what is conscious eating and what is not. It is usually the 4D self that chooses not to eat sentient beings/animals anymore as the soul can’t reconcile the killing frequencies of it anymore. Food as necessary fuel is the 3D body’s mantra. And the 3D self ‘uses’ food as a numbing drug. The 4D and 5D body will probably need less food as it will run more and more on energy of higher vibrational love frequencies. THE BODY doesn’t want to numb or be drugged anymore. “NO more chemicals please. NO more processed foods. No more drugs and things produced in a laboratory please,” I can hear it pleading to us. It seems to understand if we are in transition around this and it is patient. Yet, also, it is eager to feel vital fuel running through all of its systems that run so brilliantly on their own day after day and year after year. THE BODY especially wants us to awaken to our soul’s ability to use gifts from Mother Gaia and from our accesses to energy in order to heal it. We can help our bodies, especially in 4D transition and conscious integration of some astral frequencies into the body, by remembering our energy gifts and connecting with our chakras, cleaning them, making them as real as our physical body, caring intensely about their health and well being. And, of course, seeking out resources for health that are provided by Mother Gaia through herbals and supplements. Oh, none of what is offered by THE BODY is an absolute. There are not ‘rules’ that you need to follow. The main thing the ascending body seems to want is communication and connection WITH you, to not be ignored, to not be resisted, to not be battled. Unhealed unworthiness in the 3D pain body creates a self punishing frequency related to the body. Healing this core unworthiness through inner work (such as what we offer in SoulFullHeart space holding sessions) frees up frequencies of worth to CHOOSE better things for the body and to create a relationship with it that is based in self love. Also, connecting with and healing the aspect of you that holds self punishment and self critical frequencies can hugely shift this process into worthiness-based grounds as well. Connecting with your ascending body puts you in emotional resonance with it and so what ‘happens’ to it (all the symptoms of ascension that everyone talks about) are felt and negotiated and navigated with deep self love, care, and awareness AND with trust in the overall process as a gift from the Universe. THE BODY wants to be held with love and to come along into the frequencies of Infinite Love for which your soul knows and IS. And it seems as if we get to experiment with this process. We get to have all the gifts that can come along with it as offered by our newly glowing, shining, and loved up bodies as the vessel for experiencing it. 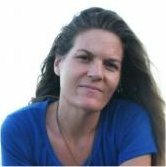 About the author: Jelelle Awen is an emoto-spiritual teacher, soul scribe, wayshower, multidimensional bridge, love ambassador and co-creator and facilitator of SoulFullHeart Way Of Life. She is author of an upcoming book, Becoming The 5D Sacred Human. Visit soulfullheartwayoflife.com for more information about space holding sessions, group calls, videos, community, etc.